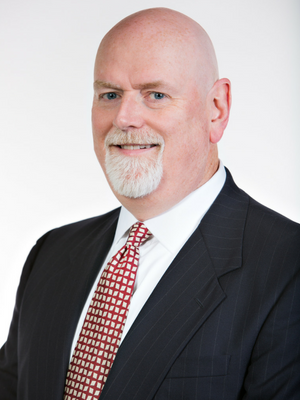 DALLAS FORT WORTH, Texas, August 27, 2018 – Eddie Price, Director of KBKG, a nationwide tax credits, incentives, and cost recovery firm, was recently elected to the board of directors for non-profit organization, the American Society of Cost Segregation Professionals (ASCSP), for a subsequent two-year term. ASCSP was founded in 2006 to address the growing need for credentials, technical standards, education, and a stringent code of ethics within the cost segregation community. The real estate industry relies on the ASCSP’s certified members for the highest quality cost segregation reports that increase cash flow by accelerating depreciation deductions and deferring federal and state income taxes on constructed, purchased, expanded, or remodeled property. Price, who has been a member since 2008, served on the Education Committee and helped write the ASCSP Exam Study Guide used for taking membership exams. He also helped the organization become a recognized CPE program sponsor as part of the National Registry of CPE Sponsors as approved by the National Association of State Boards of Accountancy (NASBA). In recent years, Price served as the non-profit’s secretary, as a member of their testing committee, and now, for a third term, on the board of directors. Eddie’s passion for high ethical standards and education extends beyond his experience with the board. Education, integrity, and passion are qualities that I know are valued as much by KBKG as they are valued by me. That's why our firm believes in the mission and vision of the ASCSP and why I am incredibly honored to serve on their board. “Education, integrity, and passion are qualities that I know are valued as much by KBKG as they are valued by me. That’s why our firm believes in the mission and vision of the ASCSP and why I am incredibly honored to serve on their board,” remarked Eddie Price. KBKG has a long history of support for the ASCSP. Its cost segregation engineers are expected to earn the ASCSP certification as they acquire the necessary experience and expertise in their careers. The firm’s principal, who oversees the cost segregation practice nationally, served as the president of the non-profit from 2013-2015, as well as on the board from 2007-2016. “We are incredibly proud of Eddie’s dedication and commitment to the ASCSP. As a specialty tax provider, it’s important to us that we uphold the ethical standards created by the ASCSP. We want our clients to know that they can rest assured knowing they are in good hands. That’s why we encourage all of our engineers to seek certification and continued education,” remarked Gian Pazzia, Principal. Price leads KBKG’s Texas-based southern region. In his role, he spends most of his time reviewing engagements and scoping projects, speaking to CPA partner organizations, presenting CPE webinars and writing about current issues impacting the industry. Established in 1999 with offices across the US, KBKG provides turn-key tax solutions including research and development tax credits, cost segregation, and green building tax incentives, and more to CPAs and businesses nationwide.